If you are fed up of the pale pastels in your bedroom, this is the time to create some magic by combining purple, plum, lavender, fuchsia etc to add some glam effect to your private retreat. If used cleverly, this colour combination can either add a soft look to your room or make some bold statements, as per your choice. So get cracking with these creative ideas and play with this cheerful colour scheme to usher in peace, romance and a dollop of adventure in a couple’s bedroom or a touch of class and masculinity in a man’s space. 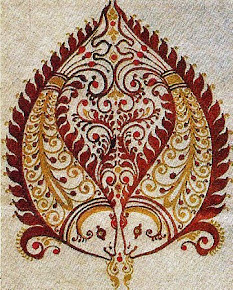 The bold purple colour was once exclusively reserved for the royalty as the expensive dye was beyond the reach of the common man. 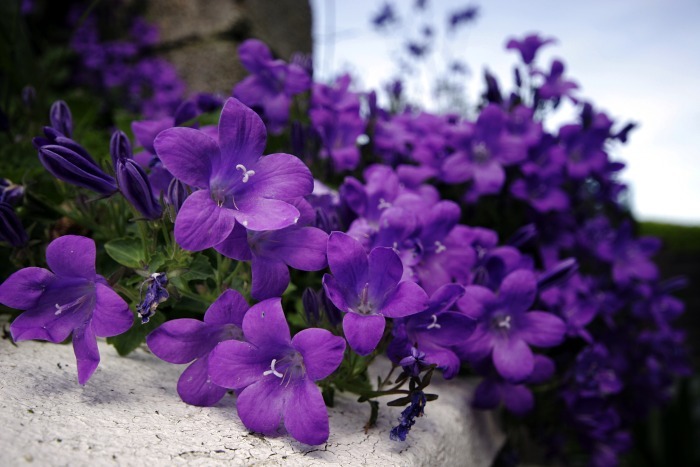 The shades of purple ranges from soft lavender, lilac, mauve, heliotrope, amethyst to more vibrant pansy purple, orchid purple, violet, mulberry, royal purple, aubergine, bluebells, magenta and so on. So before you begin, it is important to chalk out the correct shades that you want to introduce to this room so that it does not look odd or scream for attention. If you are not sure about the effect of this shade, let lighter shades in the family of lavender dominate, with touches of purple and violet here and there. That way you will create a relaxing ambience, perfect for rewinding after a hectic day or for lounging on your off-day. However, if your style is over-the-top or vivacious, create a room with different shades of purple like magenta, fuchsia, heliotrope (pink-purple) and add accents with lavender, lilac and ivory for a balance. Have you ever thought of a purple wall in your bedroom? 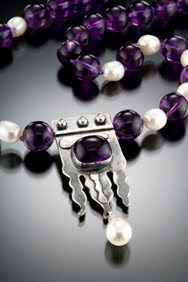 What about a coat of amethyst on the wall to add glamour to the room in an instant? For a sophisticated look, keep the shade limited to a single wall, flanked by pearlish lavender or mauve on the three other walls. Wallpaper with soft floral prints or stripes in lilac will highlight the bolder shade as well as give a posh finish to the space. If your room does not receive sufficient amount of light, then it is advisable to keep the colour of the walls lighter. If you want to create a study or hobby corner in the bedroom, the soothing lavender will be ideal as the serene hue will aid in creative pursuits. The rich chocolate brown of your bed, dressing unit and closet will perfectly complement your royal-purple or pink-purple walls. 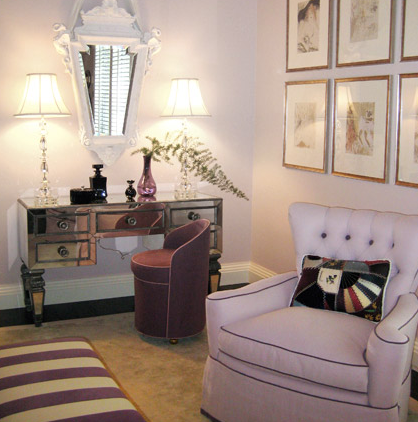 However, for an airy look, a few furniture in lavender with hand-painted motifs, will add corners of interest. 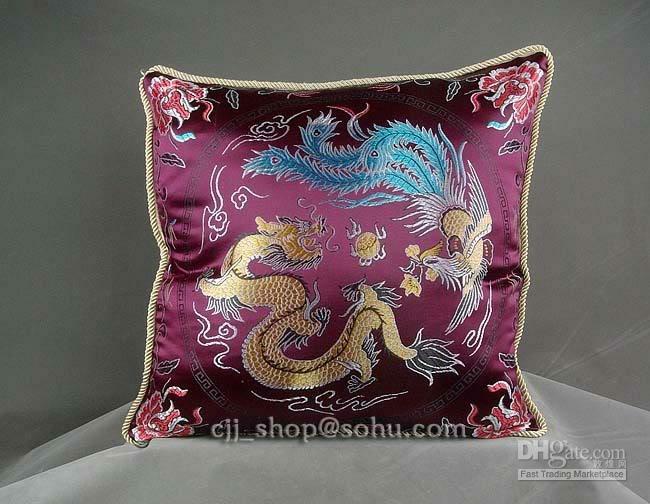 Decorate the bed with royal purple appliqué bedcover. And refurbish the lounger at the feet of your bed with a crushed silk in mulberry or get new curtains in rich paisley prints in mauve and magenta with purple brocade frills. Build up the colour in the room with duvets, bedcovers and curtains in different shades of purple from violet to mauve, fuchsia to plum. Do not forget cushions and rugs for a complete makeover. It is really fun if you are decorating the room for your teenaged daughter. A girl’s room means lots of frills, ribbons, cushions and feminine accents. 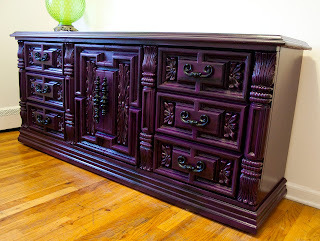 Paint a wall in pinkish purple and arrange a wardrobe, wallpapered with delicate motifs in deep purple, against it. Cover the headboard of her bed in a romantic lilac shade and upholster the bedding in mauve. A throw in amethyst purple, a delicate lilac printed cover for the side table and a matching rug will take your little girl to the fairyland every night. Paint her dresser in lavender, and attach heart shaped knobs in pinkish purple. Dress up the dressing unit with lavender runners, delicately embroidered in purple. Heart-shaped stools at the foot of the bed can be covered in lavender fabric with white polka dots. Floral printed lavender curtains can have purple fringes. If the room is for your bachelor son and he is ready to experiment with the colour scheme, be careful about what shade you use and how. You may cover the wall with an orchid purple shade and paint the ceiling in a shade of lavender. Or try out purple and white stripes on the wall. Otherwise safely go for a dark shade of mauve. If the wall colour is dark, the bedspreads should be lighter in shade and vice versa. A lightly printed duvet cover in geometric design or plain lavender will be ideal for a man’s room with purple theme. For a modern take on the usual stripes, go for a zebra print in purple on white on the duvet or rug for a man’s bedroom. Avoid cushions. 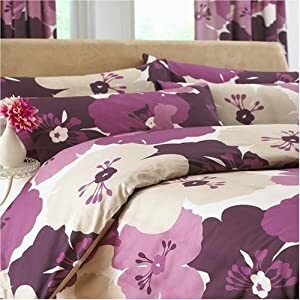 Instead get oversized pillows with slim lilac stripes (if the duvet is plain) or purple block (if the duvet is printed). A lamp shade with violet or mulberry print will look right with the furnishings. Keep the curtains plain or lightly printed in a fabric that is easy to maintain. A plain white or cream coloured curtain will also soften the bold effect of purple. If this room is for a couple and both the partners are ready to experiment, the energetic purple and lavender will add mystery to your plush getaway every night. A soft lavender sheet under a lavish silk bedcover or duvet in royal purple will set the mood. A collection of silk and brocade pillows in fuchsia, magenta, mauve and amethyst with laces, golden trims and embroidery will add opulence to the room. Extend the colour scheme with lampshades, aromatic candles and flowers in the same shades. In a neutral coloured bedroom, you can add periwinkle and lavender accents to enhance its appeal. 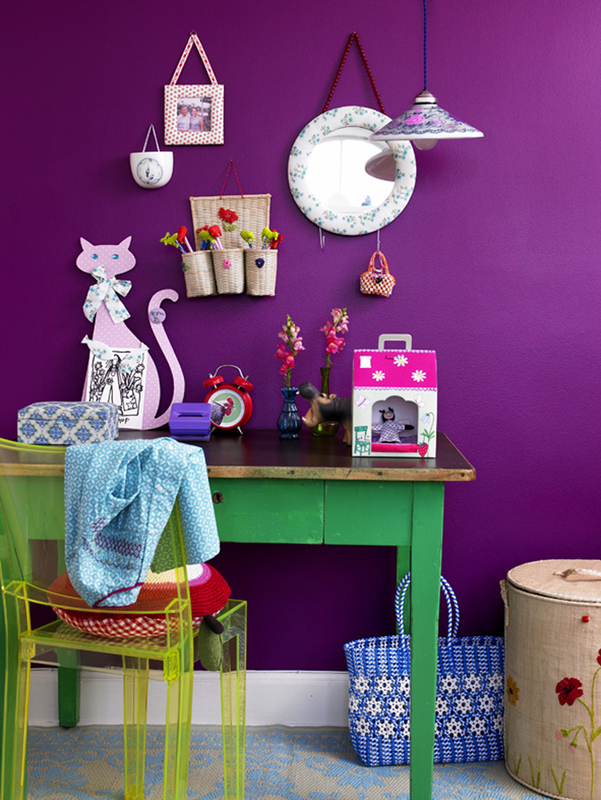 Purple wall hangings or photo-frames will introduce the colour in the room. 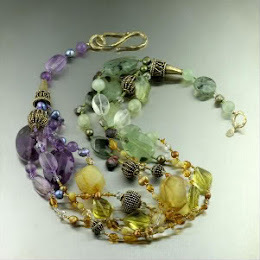 So do not be afraid to experiment with this exotic colour. Usher in vivacious and positive energy into your bedroom with purple and lavender furnishings in plain or patterned fabric and other accents and accessories in the same shade. Pair these shades with deep espresso, navy and chocolate browns for a mystifying look. Borrow colours from plum, lavender, eggplant, lotus, pansy, heliotrope, mulberry, periwinkle and orchid etc and mix these shades of purple and lavender to create a sophisticated bedroom for you and your loved ones.